“No, we don’t,” was the answer I received, “We want you to speak because you do not have diabetes. We want to share a different perspective on the patient journey.” Excited by the possibility to speak to a different audience than the ones I am used to, I dove into preparing my presentation to talk about my personal journey from being a patient to being a patient advocate. I’ll be the first to admit, attending an event specific to a disease separate from the one I have was intimidating at first. Before I went, I learned what I could about DiabetesSisters, a nonprofit organization whose mission is to improve the health and quality of life of women with diabetes, and advocate on their behalf. 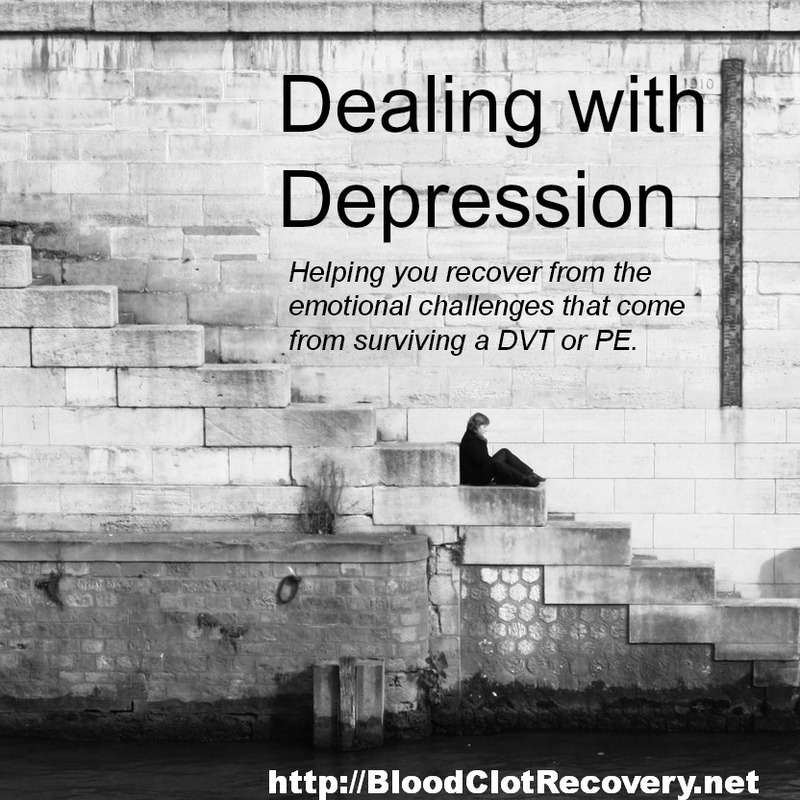 What I soon realized is, this resource – including the support and educational conference I would be attending – is the type of resource that the VTE community doesn’t have right now. We’re getting there, but we still have some progress to make. Part of the support that DiabetesSisters offers is regular meetings, or in-person opportunities, to share information, experience, and support with people who have been there too. The Weekend for Women even offered support for partners of women with diabetes (Partner’s Perspective Program) and the Diabetes UnConference, which was exclusively to discuss deeply personal and sensitive issues such as the fear of the unknown when managing a lifelong illness. I soon realized how incredibly fortunate the people attending these sessions are to have this measure of support in their lives, and I immediately wanted to be a part of it. At the conference, I shared my personal thoughts about how to navigate the path from patient to patient advocate through storytelling, and I shared my thoughts about how telling our stories can in fact lead to healing and empowerment. I also took some time to share important facts about blood clots, including risk factors, and signs and symptoms. I had several women come up to me after my talk to either share their personal blood clot story, or the story of a family member. 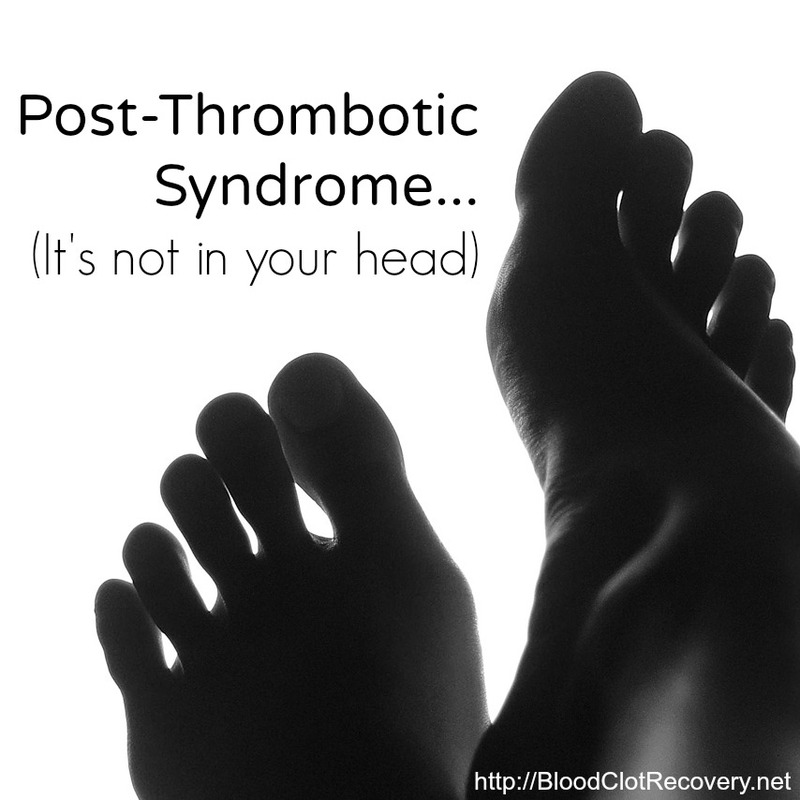 I also had a few people tell me they had no idea they could be at risk for a blood clot, and about how they planned to discuss their risk with their doctors upon their return home. I was invited to sit in on the workshops, in which I observed some thought-provoking discussions about how to support a spouse or loved on who has diabetes, and how to handle our worst fears when facing a chronic or long-term illness, like the fear of being incapacitated and left alone, or even the fear of death. I realized these are all thoughts I have had throughout my recovery from blood clots, and I still have some of them today. The fear of the unknown is a great obstacle for many of us, and it was encouraging to hear other people talking about it, face-to-face. 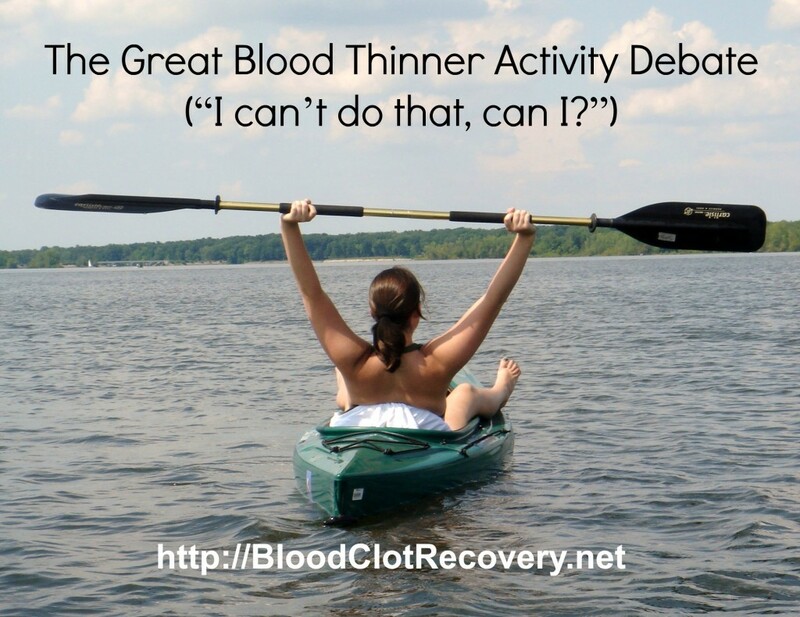 By now, you might be thinking, “Great, but I’m not diabetic, I have a blood clot, so why are you sharing this information with me? The answer is: Whether you have diabetes, have a blood clot, or have a clotting condition, we all share the same journey as a patient. We all must live day to day with an illness that might never go away. We have the same fears, the same struggles, and the same concerns. A person with diabetes might have to consider what he or she eats, and check his or her blood sugar. 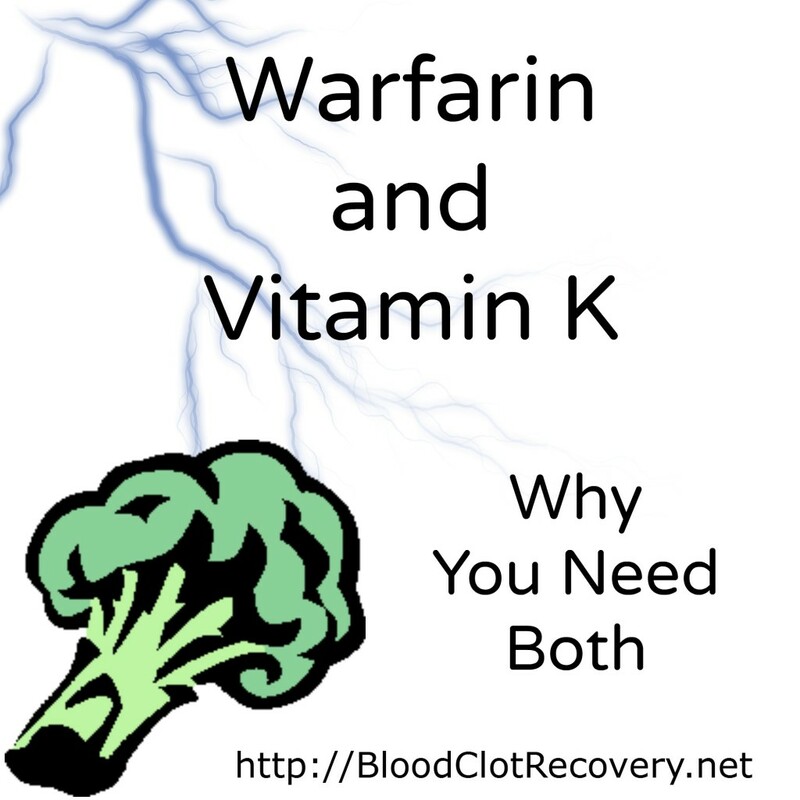 I have to consider what I eat and check my INR because I take warfarin. 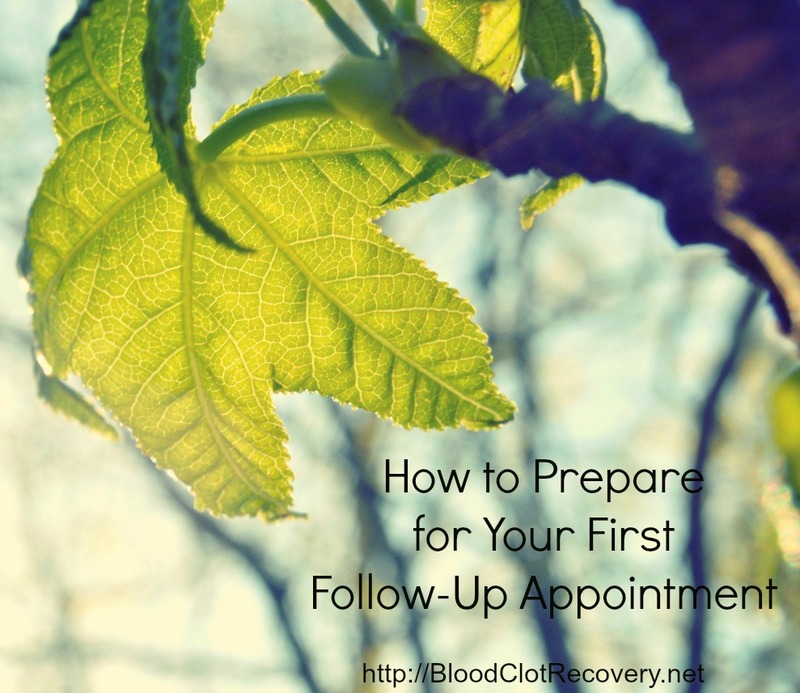 We both have to remember to take pills, go to regular follow-up appointments, be proactive in our health, and sometimes, we even have to miss out on things because our illness might take precedence over what we want to do. What these people taught me is, no matter what the condition is, we all face the same fears, struggles, setbacks, triumphs and joys as a patient, and as a person. They taught me what I was supposed to be sharing with them: Sometimes it is easy to become fully consumed by our own disease and our own situation, but in fact, there are people all around us who can relate to what we have gone through, or what we are going through. 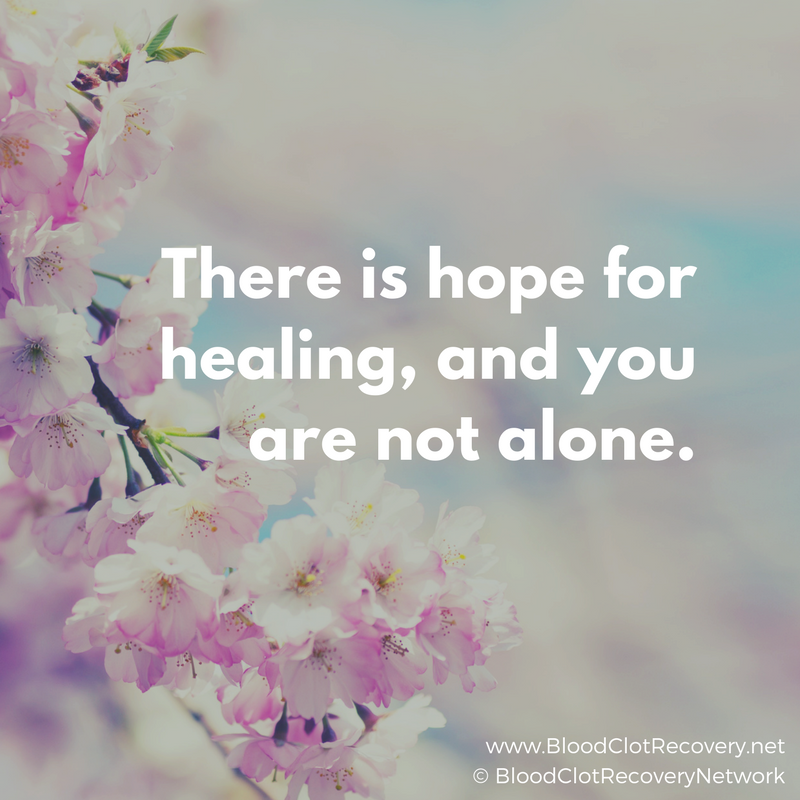 As a blogger, and as a patient advocate for the VTE community, I become very consumed with that, because it is my passion, but it’s important to remember that I truly am not alone, even when I look outside of this community. Below are some some resources that I want you to have. If you have diabetes, or if you want to begin your journey from patient to patient advocate, explore the links below for some essential tools. Did you know? 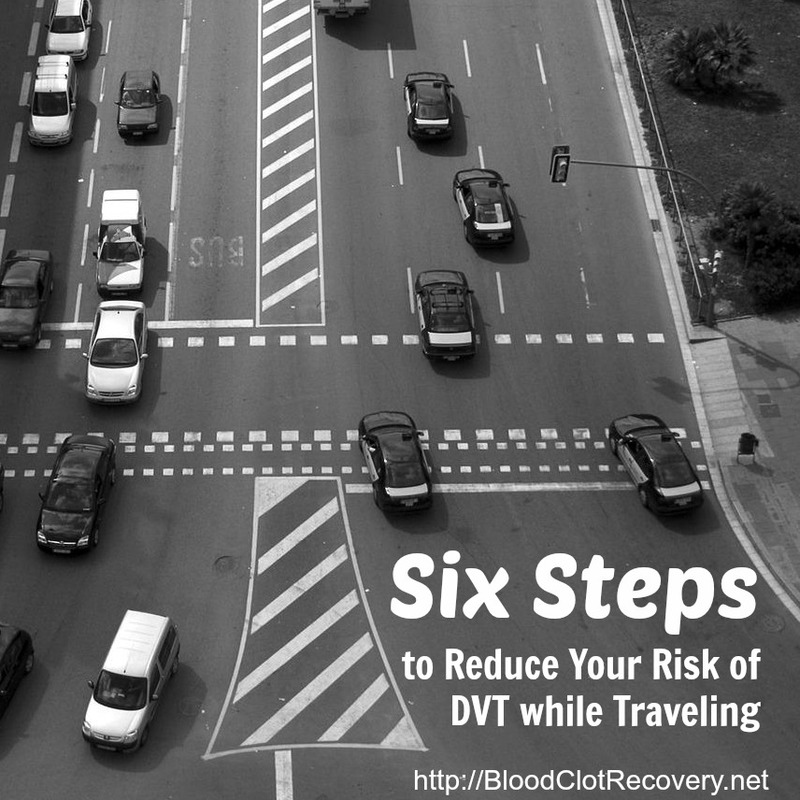 Long-term diseases like diabetes are a risk factor for life-threatening blood clots. 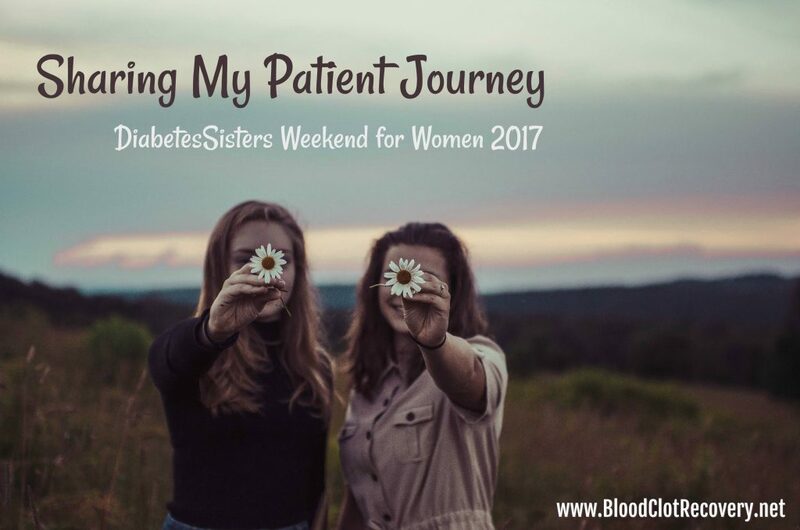 If you have diabetes, I would love to connect you with some of the resources and bloggers from the DiabetesSisters Weekend for Women. Did you know? Anyone can become a patient advocate just by sharing their story. Below are some resources to help you get started. 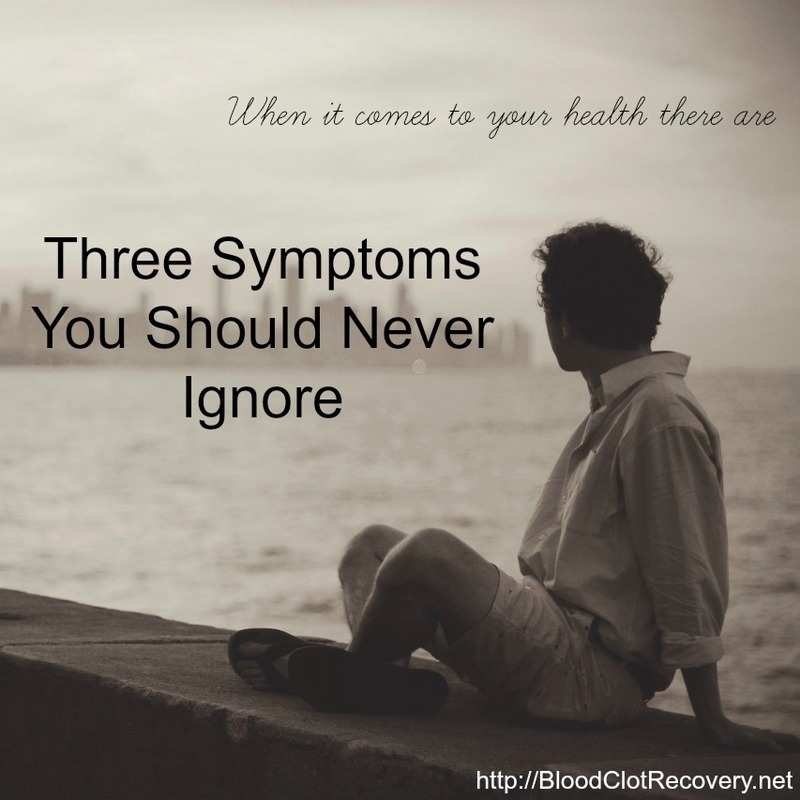 Reader Writes In: Are you dealing with other health conditions besides blood clots? Where are you on your own patient journey? Where would you like your journey to take you? Are you new here? Welcome to BCRN. Here is my story and more about me. 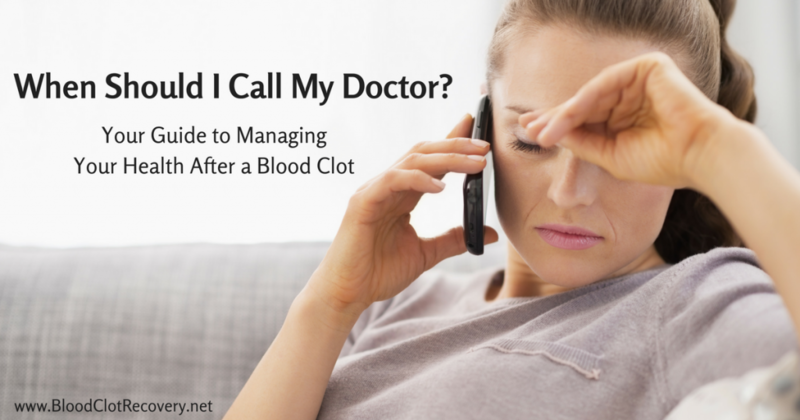 Are you worried that you might have a blood clot? Here is how to talk to your doctor. 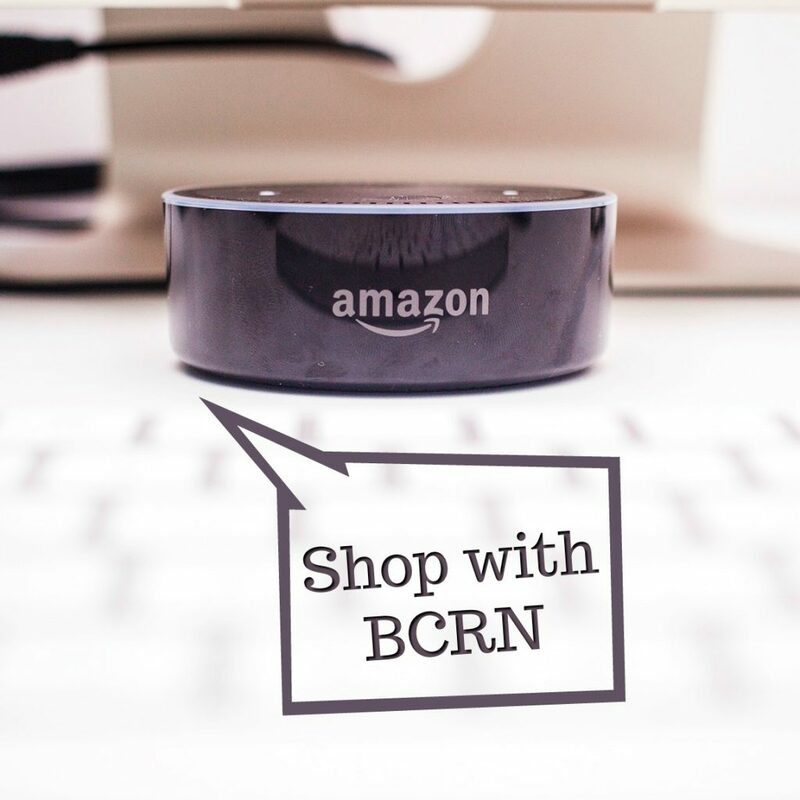 Connect with BCRN on Facebook and in our private Group. 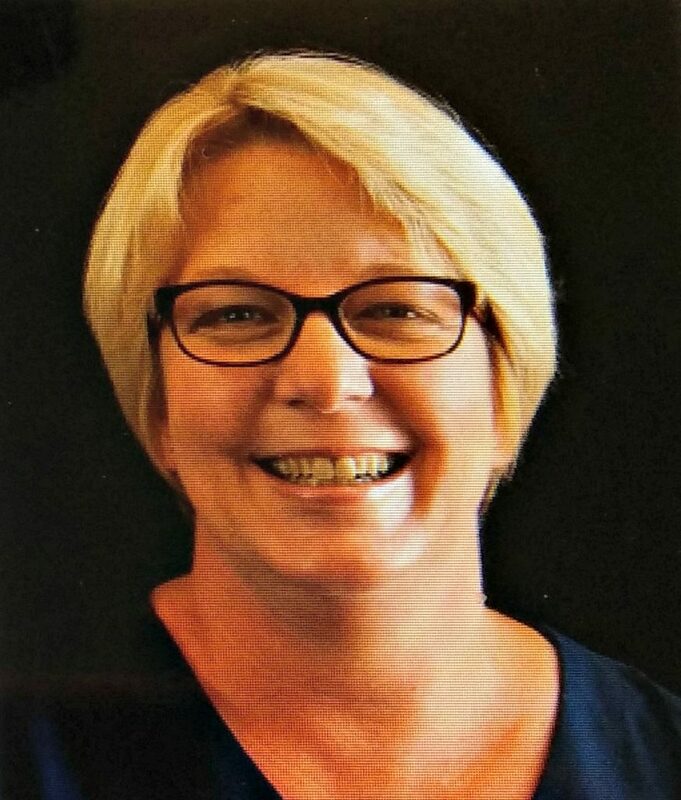 This patient story “When Blood Clots Are Just the Beginning” was written by Shelia Ipock for the Blood Clot Recovery Network Blog. It was the scariest day of my entire 45 years on this earth. I had been complaining of a pain in my lower right side for about two years and had numerous tests. I got to the point where I figured I would just have to live with the pain. At the end of August 2014, I stretched my legs into a straddle and felt a burning sensation in my left inguinal, or groin, area. Over the next few days, it started hurting and it got very warm to the touch. I had been going to the doctor about the pain in my right side and had recently been told it was psychosomatic, or all in my head. I figured I just pulled something and it would resolve itself. We had some friends that we hadn’t seen in a while and we all went dancing that Saturday night. We did three rounds of a line dance, and when I went to turn into the next round, I started seeing spots and I thought, “uh oh.” Then, I passed out. I came to and was surrounded by people. An employee at the bar assumed that I was intoxicated. My husband told him that I was drinking water, so there was no way that was possible. I got up from the dance floor and took a few steps, and I couldn’t catch my breath. After that episode, I just wanted to go home, but everyone insisted I go to the hospital. I went to the emergency room at about one o’clock in the morning on Sunday and waited. They found a space for me and sent me in for an MRI of my head. This was after my husband told them I never hit my head. The doctor said nothing was wrong and sent me home. I still had issues breathing, but I figured that it must not be that bad since I was sent home. My husband instead insisted that I go back to ER. I went again and this time they did an x-ray of my chest and stomach area. The ER doctor disregarded the fact that I couldn’t breathe. He took one look at the x-ray and said I was constipated. He gave me some medicine and had a nurse give me an enema and they left me in a room and forgot about me. I had enough and my husband found someone to discharge me. They even admitted they forgot me and then sent me home. On Monday, I went in to see my general practitioner. I wasn’t looking all that great. I was having more difficulty breathing and walking. My doctor had blood tests done and I went home. I could barely keep my eyes open. On Tuesday, I went back to my doctor. I was gray and couldn’t walk. I was also barely breathing. From there, I went to the hospital and had to be put in a wheel chair just to get to my doctor. She took one look at me and said she thought she knew what was wrong and had to take one more blood test. She sent me to ER so they could do a CT scan. In the machine, I could hear the techs in the back talking quietly to each other in an urgent manner (I later found out they thought I had died in the machine). Once I was back in ER, everyone began to rush around me. I was quickly put in a bed, an IV was put in, and I was put on oxygen. Then an ER doctor came in and told me I had a saddle pulmonary embolism. He told me I was lucky to be alive, upon viewing the CT scan he said he had never seen a saddle embolism that large. The scan showed 90% of my left lung was blocked and 50% of my right lung was blocked. They got me as stabilized as they could, and I was sent upstairs to Intensive Care Unit (ICU). One of the few things I remember about that time was apologizing to my mother for being admitted to the hospital on her birthday, which was September 17, 2014. I was in the ICU for a week. A week after that, I was back in the hospital with a pleural effusion. That was more painful than the embolism. I was on oxygen for a month. I had to take Coumadin for six months. When I finished my six months of Coumadin, I was rushed in to have a colonoscopy. It was determined I had a baseball size tumor that was staged at 3B cancer (so much for psychosomatic, huh?). I ended up finding out that when a person has cancer their blood hyper-coagulates. I finally found out why I had so many blood clots. I lost my mom to colon cancer the week I finished chemo. I lost my dad nine days later of a broken heart. I have good days and bad days. It’s been two years since my initial diagnosis of a saddle pulmonary embolism. It’s been almost one year since finishing chemotherapy. I have been through a lot. I still have this fear that I will fall over with another blood clot. I also fear a return of cancer. Life will never be the same for me, but I’m alive, and I’m working on getting to a point where I feel healthy again. Editor’s Note: Thank you, Shelia, for sharing your story with BCRN. Share your thoughts with Shelia in the comments below. Read more Patient Stories from BCRN. 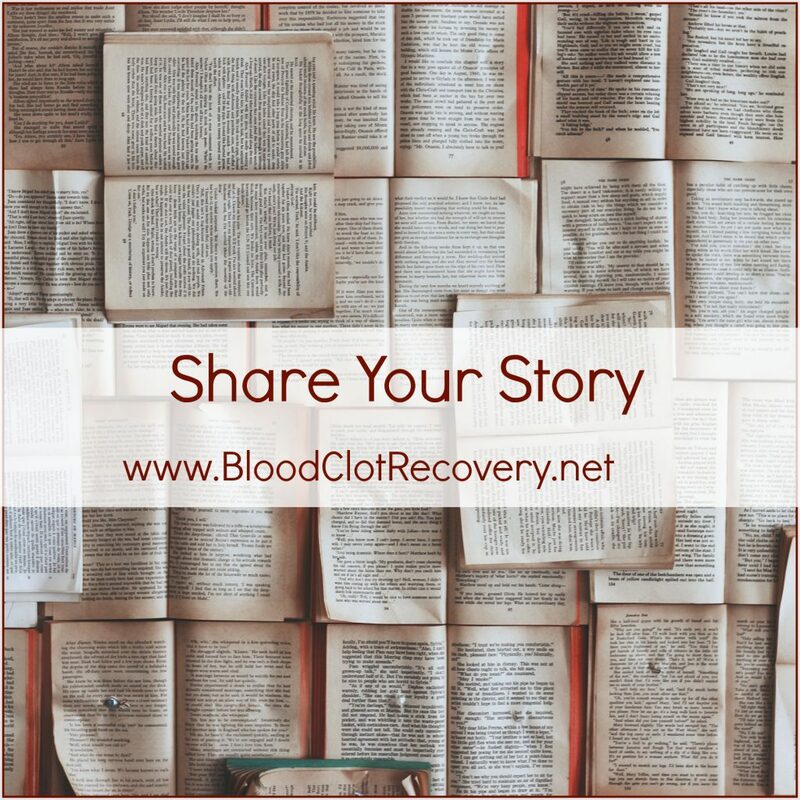 Visit How to Share Your Story to share your story with Blood Clot Recovery Network. 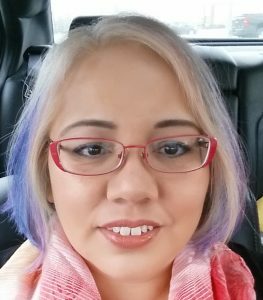 This patient story “A Double Whammy” was written by Ruth Work for the Blood Clot Recovery Network Blog. I am a 51-year-old clinic nurse with rheumatoid arthritis (RA). I’m on those nasty meds that keep me moving, but they also make me immune suppressed. At the beginning of August 2016, I was feeling run down, and I thought it was my allergies acting up. I took my RA meds on a Friday night, and I woke up the next morning feeling like I’d been hit with a mac truck, like you do when you have influenza. I went to urgent care, and I was diagnosed with a sinus infection and sent home with an antibiotic. The next morning, I woke up feeling worse, my fever had gone up and the lymph nodes in my neck had blossomed. I called the Urgent Care with this update and was instructed to go to the ER. After three hours in the ER, I was admitted with pan-sinusitis (all sinus cavities infected) that had gone septic. The next day, I had a CT scan of my neck, which showed one of the lymph nodes suspicious for malignancy. The next day, I had more scans looking for other malignancies. On day three, I had surgery to remove the suspicious lymph node. I finally got to go home on day four to await pathology results. During this hospitalization, the doctors did everything right. I was on birth control pills for menopausal symptoms, and they took my pills away. 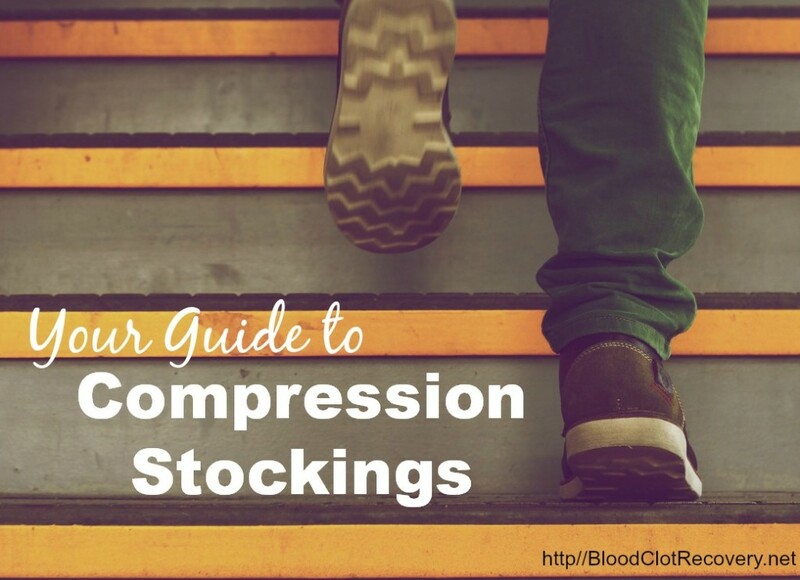 I received Lovenox injections, wore the Jobst compression stockings, and had the pressure booties following surgery. They were being proactive which I thought was overkill at the time. The surgeon called me the next day and told me the local pathologist was leaning towards a lymphoma diagnosis but to confirm, they were sending my specimen on for further review. In the meantime, I was instructed to make an appointment with the oncologist so we could get things rolling after the final pathology report came back. I saw the oncologist on August 12, 2016, and I was told I did not have lymphoma! What a blessing! But, four days later, I was huffing and puffing just trying to make my bed. I just can’t believe everything that has happened these past few months! It was the perfect storm, how one issue led to another issue. Due to the sepsis, I had to go off my RA meds so my RA symptoms returned. Due to the blood thinner, I can’t take any anti-inflammatories. I have recently been able to start a different RA med, which is not helping. I’m trying to be patient and give it time to work, but I’m feeling very down lately. I’m sure it’s a combination of the slow PE recovery and the RA symptoms, a double whammy. I’m not able to do the things I used to, don’t have interest in many of the things I used to, and with anything that takes a lot of energy, count me out. It saddens me to lose my nursing job, but I understand why. How can I take care of my patients when I can barely take care of myself? I feel like I’ve let my co-workers down, and I’ve let my family down. Six months later and there are so many things I just can’t do. I guess I’m not a very patient person, but am trying to be. I’m usually a go getter and this has shaken me to my core. I’ve learned that PE recovery isn’t just a physically recovery, but an emotional recovery, which I was not expecting. Through it all, I continue to make goals and I keep trying. My husband and I love to travel and being told I couldn’t travel for six months after my PEs has been so hard, especially with most of our family being out of state. To celebrate making it to my six-month anniversary, we flew to see our kids. I was so scared, but determined. I knew what I needed to do, what not to do, what to watch for, but I was still scared. What if I got sick again? I am happy to share, our short flight to and from our kids and grandkids went great! I was really nervous before we left because I had bronchitis the three weeks prior to our trip. I kept thinking I was going to be fine by the time we left, but I can tell my lungs have changed. The day of our flight, I went to the doctor, the pharmacy, and then the airport. With an antibiotic, steroid and inhaler on board, I made it. We had such a great time! I had the same nap time and bedtime as our grand-daughters, but that was okay. What a blessing to be with family again. I went off my Eliquis after we returned home, and I have noticed I feel better since going off it. I seem to feel less fatigued. I had my genetic testing labs drawn last week, and I see my hematologist tomorrow to review the results. Due to my latest illness, I had to go off my RA meds again, and I am starting a new injection tomorrow. We will see if this one is more beneficial. Will see what happens next. I am taking it one day at a time! My journey continues, but I am here for a reason. God has a plan for me and I will continue to take life one day at a time. I’m hoping to look back at this all a year from now and realize how far I’ve come, but right now, it’s still hard. Reader Writes In: Has anyone else dealt with PE’s and RA? Share in the comments. Editor’s Note: Thank you, Ruth, for sharing your story with BCRN. Connect with Ruth, or share your thoughts, in the comments below. Read more Patient Stories from BCRN. 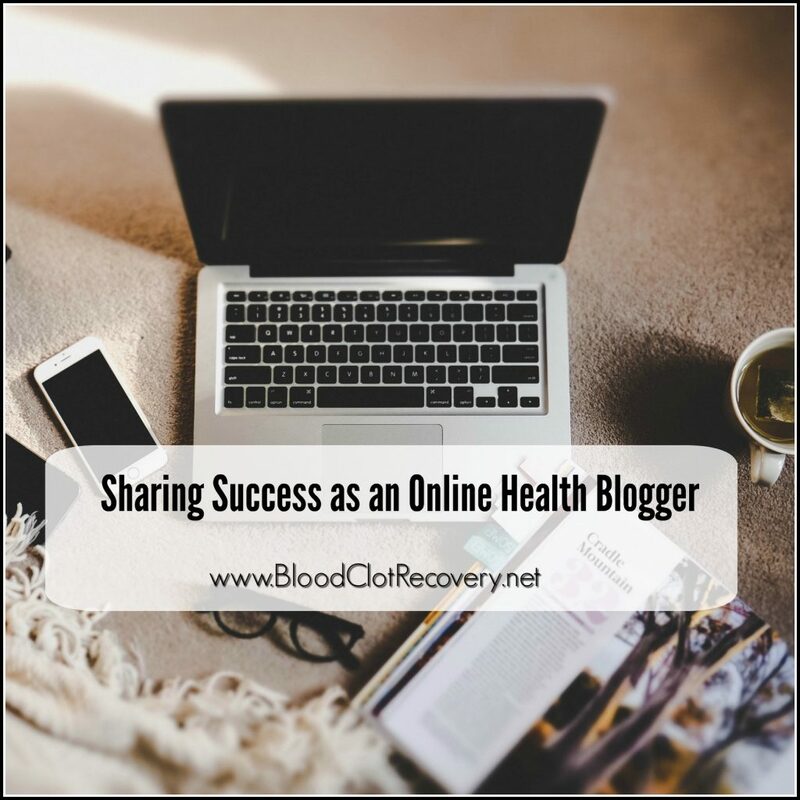 Visit How to Share Your Story to share your story with Blood Clot Recovery Network. 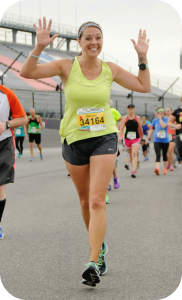 This patient story “Running Down A Road to Blood Clots” was written by Rachel McCulloch for the Blood Clot Recovery Network Blog. 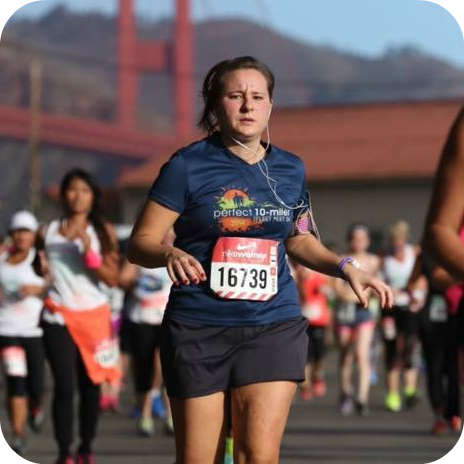 It was October of 2015 when I got to run one of the biggest and most important races of my life, which was the Nike Women’s Half Marathon in San Francisco, California. The day of my race was amazing, inspirational, and in the end, I finished in pain with a knee injury. Flash forward to January of 2016, the pain had started to slowly intensify in my left knee, and I couldn’t take it anymore. After visiting my orthopedist, it was determined I had torn my meniscus and would need to have it surgically repaired. I was scheduled for arthroscopic surgery on February 2, 2016. I was told it would be a super easy surgery and even easier recovery. I went into surgery and came out with no complications and feeling pretty good. The day after my surgery would be the day my life would change forever. I woke up that morning with a very swollen foot and calf. I didn’t think anything of it, and attributed it to the surgery and the wrap that was protecting my sutures. I brushed off the swelling and went to my first physical therapy appointment that afternoon. After my physical therapist assessed my knee, she told me she was more concerned with the swelling and redness in my calf and foot. My physical therapist told me I needed to go to the emergency room. My dad drove me straight to the ER and after being taken back for an ultrasound, it was discovered that I had a deep vein thrombosis, or DVT, in my calf. I was immediately put on Eliquis. I was able to go home after a few hours in the emergency room, but I had to go back the next day with shortness of breath and dizziness. After having a chest cat scan done, I was diagnosed with multiple blood clots in my lungs and was admitted to the ICU for further observation. I remember clearly that first night in the hospital as I reflected on my life. In a matter of a few months I had gone from a very healthy active 29 year old woman to a very sick individual facing a life or death situation. 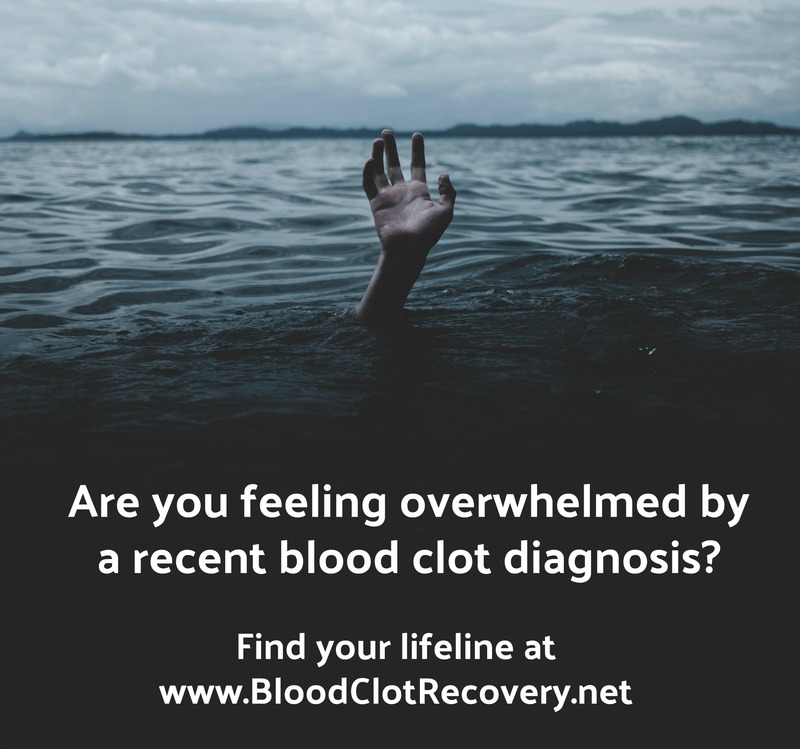 I kept thinking, “How could this happen to me?” The doctors were able to run blood work in the ICU, which eventually revealed the true cause of my blood clots to be factor V Leiden, a genetic blood clotting disorder. “Wait, I have factor V Leiden?,” I thought, “The same disease my grandma and grandpa have.” Why had this not been found earlier on in my life? Why had I not taken any precautions? What if I wouldn’t have run that race at all? Then maybe I wouldn’t be in this situation. All of the whys and what ifs won’t change the fact that I had this happen to me. My life has changed forever, but I don’t look at what happened to me as a negative. I try to always remain positive. Life is a precious gift that can be taken away so fast, it’s best to look at all of the good things in life and put the negative stuff behind us. The one question I get asked all the time is if I still run, and of course, the answer is yes. Editor’s Note: Thank you, Rachel, for sharing your story with BCRN. Connect with Rachel, or share your thoughts, in the comments below. I had just secured my dream job of all time, and finished my first year with glowing praise. Life was awesome for the whole family! Now, with good medical coverage, it was time for checkups and even a look at that hernia. So after a few consults, I went in for a hernia surgery. It went well, and after a few days, the pain and anesthesia began to wear off, so I was beginning to move around. In my left arm, I noticed what looked like a long dark, red rope where my vein should be, and a golf ball size lump in my lower bicep. I thought it was IV complications, and I didn’t think about it much. On a recent physical, I was told I was healthy as a horse. I wasn’t even thinking about my mom’s blood clotting issues. After a few more days of my arm getting stiffer and more sore, I went in for an ultra sound with orders from my primary care physician (PCP). 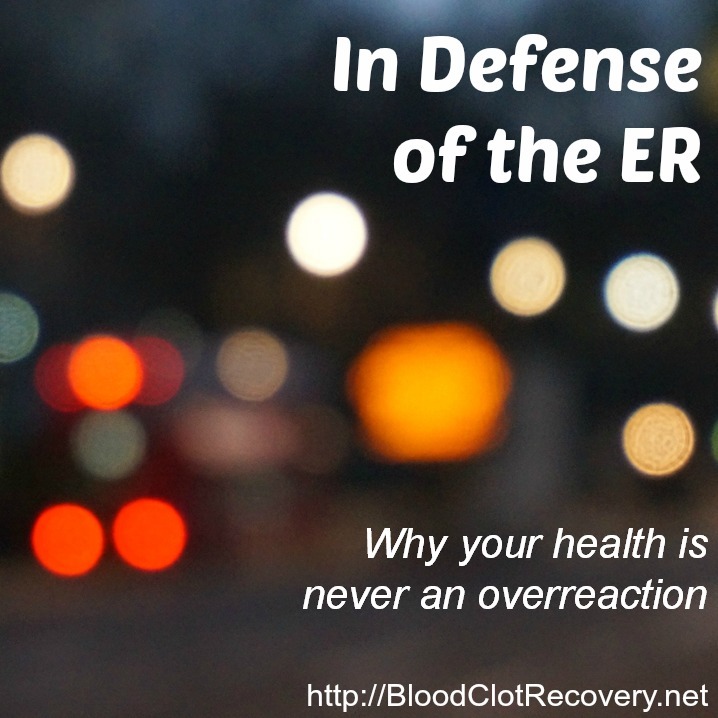 After the ultra sound, I was admitted to the ER with several DVTs – or blood clots – in my arm. Next came three days in the hospital with all sorts of tests, blood thinners, visits from a hematologist and other doctors, all with me having a hard time taking a deep breath and feeling miserable, not really comprehending it all. 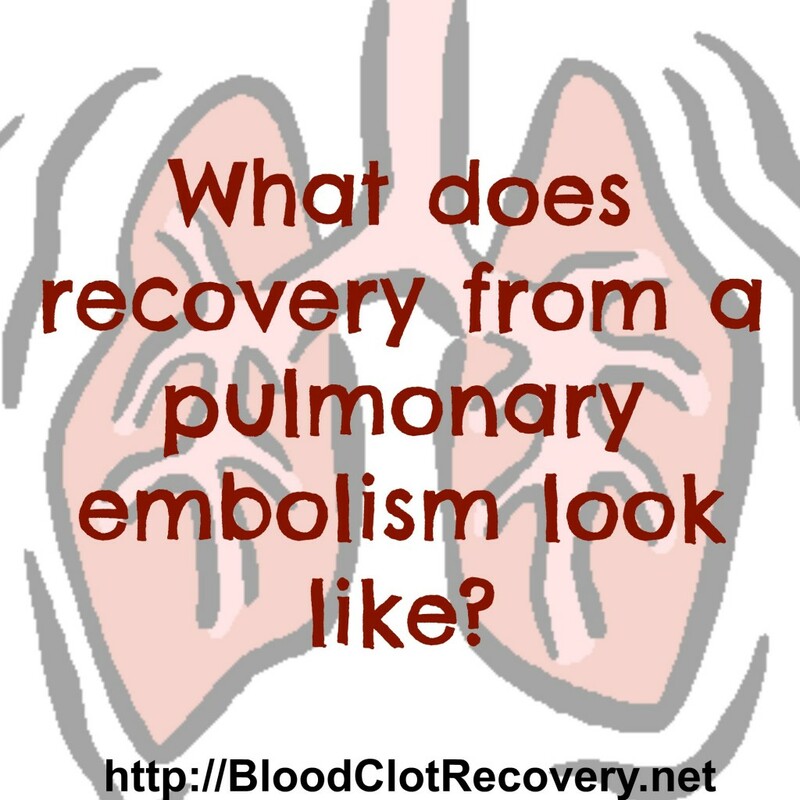 Then came the CAT scan and the hematologist told me I had a clot in my right lung or pulmonary embolism. That word went right through me. 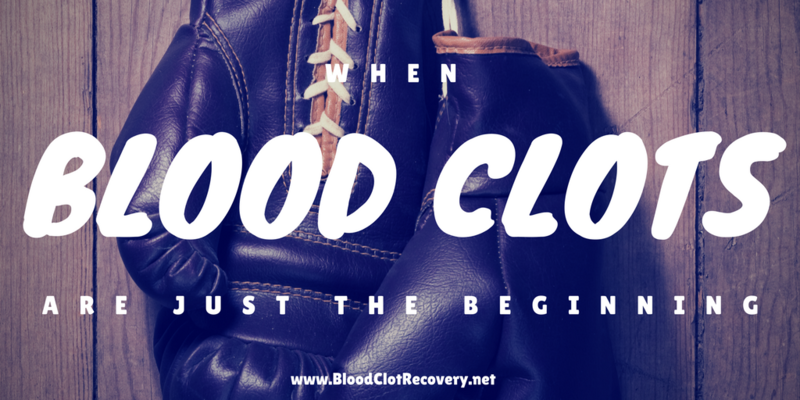 I had recently lost a friend to a blood clot and suddenly wondered, was this my time? Alone in that hospital bed all night, I went back and forth on the idea of dying, for both my family and myself. After three more days, I was sent home with Xarelto and warnings to come right back if there was chest pain, difficulty breathing, nausea, sweats, fever, etc. I was wheeled out to my car with a follow up appointment in a few days to the same hematologist. Home has been weird. Yesterday I was dizzy and weak, but today I am breathing better. The cramp-like pain in my right side went to my upper right chest, and now is back to my right side again. No chest pain, and breathing better. So now I sit and wonder, what the heck just happened?! What will happen next? Thanks to Blood Clot Recovery Network and all of your stories, I have an idea of where this is all heading. I have hope. I thank all you for telling your stories and offering so much advice. I feel much less alone with this now and a little less afraid. 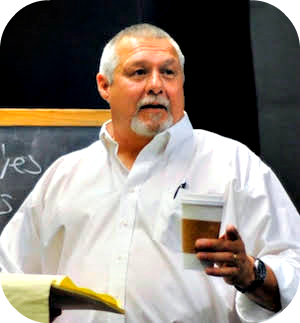 Editor’s Note: Thank you, John, for sharing your story with BCRN. Connect with John, or share your thoughts, in the comments below. I went to the ER at Waukesha Memorial. I drove myself. I remember telling the triage nurse, “Look, I don’t really need to be here, but they wanted me to come in.” I took my laptop to play games, if I got bored. Little did I know…. within 15 minutes of the doctor first seeing me, I was having a CAT scan. It was incredibly hard and incredibly painful. I had to raise my arms over my head, which I could hardly do. The voice of the scanner said, “Take a deep breath. Hold your breath.” I couldn’t. I had no lung capacity. After several tries, we got enough of an image for them to send it to be read. They took me back to my room. I don’t know how long it was before the doctor came back. All I remember is how uncomfortable I was. I remember rocking back and forth, just trying to find a position that made breathing easier. It was futile. WHAT?!?!?!?! Imagine my shock, my horror, my terror! Many medical personnel started coming in. They put me on a heart monitor, oxygen and a pulse ox monitor. I was terrified. I was alone, and it was now the middle of the night. Then, it got bad. I remember being uncomfortable. I went from discomfort to mind-altering pain that felt like I was dying in an instant. It hit so fast, it took all of my breath away. I remember hitting the call button as fast as I could, and time seemed to come to a halt. I remember turning around to watch my heartbeat on the monitor and thinking, “This is it, I’m going to watch myself flat line.” I prayed for my babies to remember me. They rushed in and gave me a shot of Dilaudid (holy crap) to help with the pain. It took maybe just the edge off, but made me high out of my mind. The next few hours were a narcotic-induced blur. I was in the CICU for five days. The morning after being admitted, I called a good friend of mine who is a doctor, because I knew she’d be honest with me. I asked her point blank, “Renee, am I going to die?” She paused for a long time and finally said, “I don’t know.” That terrified me. I knew she was being honest and she didn’t know if I would live or die. I got Heparin blood thinners in the ER, and I left the hospital with a combination of Lovenox and Coumadin. Lovenox is a shot I would take every 12 hours in the stomach. I had to do that for four weeks. I was on Coumadin for 18 months. I had my blood tested (INR) twice a week during that entire time. I had constant huge bruises. I lost hair and memory, a little known side effect of Coumadin for some people. If I cut myself, I would bleed uncontrollably. My gums would bleed when I brushed my teeth. It was 18 months of praying I wouldn’t hit my head in an accident because I’d bleed out before help could arrive. It was 18 months of my then 12-year-old daughter getting in my face if I was napping, because she was checking to make sure I was still alive. 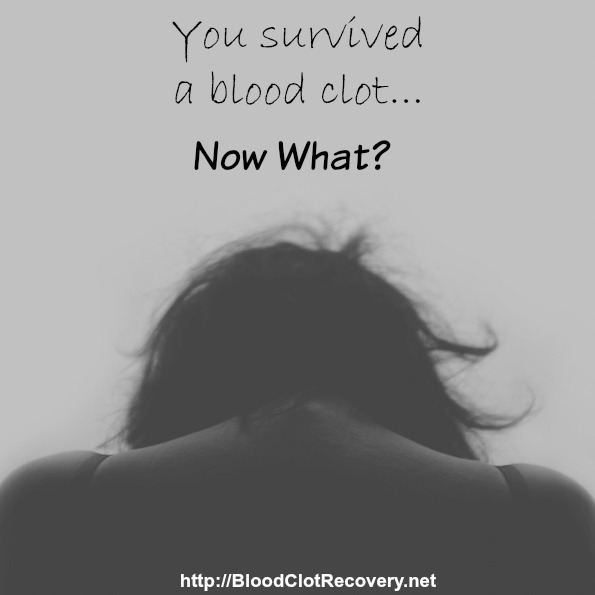 It was18 months of waking up to any twinge of pain and being afraid it was another clot. It was 18 months of hell. I have no family history of blood clots. I didn’t a recent surgery. The only two risk categories I fell into were being on a birth control pill and being on a road trip. What caused them, we don’t really know, but it could happen to you, too. My husband’s grandpa died in his sleep of a PE. My sister-in-law’s mom died of a PE. My other sister-in-law’s close friend died of a PE. I encourage everyone to know what to watch for and know to get help. We are always told that the ER is for emergencies. I never in a million years thought I was having an emergency. As a woman, and like so many other women, I am polite and put others before myself. I’m here to tell you, if you have a pain that you don’t know about, go to the ER. Just do it. It is better to find out it is nothing than to be dead. A week after leaving the hospital, my doctor told me if I had gone to sleep that night, I would not have woken up in the morning. Don’t be in that position. Education is key. Stay healthy and stay alive. Editor’s Note: Thank you, Denise, for sharing your story with BCRN. Connect with Denise in the comments below.